It’s often said that at the root of every addiction is pain. Not the kind of physical pain you might associate with withdrawal symptoms or a harsh come-down but the very real psychological and emotional pain of trauma in one’s life. Nearly all the motivations for substance abuse and addiction stem from a need by the user to escape somehow, usually to avoid some kind of emotional pain or discomfort in the form of repressed trauma. 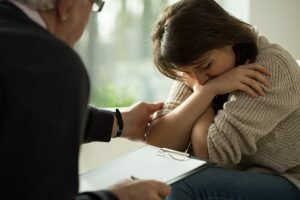 One of the essential functions of therapeutic counseling, especially in addiction treatment facilities, is to dive deep into your own psyche to examine the underlying reasons and motivations that drive your addiction. When something emotionally devastating happens to us, the brain and body go into a kind of nervous system overload as thoughts and feelings are processed and stored. The more intense the event, the more deeply it embeds itself into the brain’s operating system. These “psychological scars” are more pronounced when the trauma occurs early in life due to the more sensitive and responsive nature of the developing brain in those early years. A great many of our manic quirks and destructive habits stem from unresolved issues or emotional scars from traumatic events in our lives. Neglect, abuse, loss… all of these tragedies leave deep wounds that don’t always get proper care or attention to heal. If left to fester in the subconscious, these wounds can cause us to act out in self-destructive ways, which can include substance abuse and behavioral addictions. The goal of counseling in addiction recovery is not only to identify your sources of pain and unresolved confusion but to learn coping strategies for letting go of the emotional baggage that drives destructive actions. This means talking things out and sometimes confronting people in your life about things that have gone unspoken for years. “Unresolved” often means that you have properly processed and reasoned out the traumatic experience in a way that allows your mind to make sense of it and move on. Our in-house addiction counselors are well trained professionals in helping recovering addicts understand their own deep traumas and motivations. Patients learn coping strategies and techniques for processing the root emotions that trigger drug relapses so that future triggers become manageable and understood. Knowing yourself, inside and out, is the key to beating addiction. For assistance with addiction recovery or personal counseling related to substance abuse, contact Hired Power to learn about your recovery options at 800-910-9299.